The third edition discusses the changes since the last edition: (1) the Penny Stock crash; (2) changes to the Corporate Governance Code 2012; (3) the SF (Amendment) Acts of 2012 and 2017 and other proposed changes to the market abuse regime; (4) dual class shares and other changes from the Companies (Amendment) Act 2014; (5) overseas developments such as the implementation of the Dodd-Frank Act; (6) changes to the SGX listing and business rules. This third edition covers legislative developments as well as changes and developments to the securities industry, SGX-ST Listing Manual and the SGX-ST Business Rules. 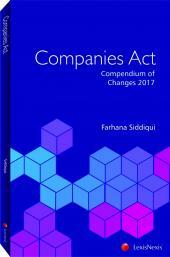 Substantive changes have been introduced by the Securities and Futures (Amendment) Acts of 2012 and 2017 since the second edition of this book was published in 2011. Major events since then include the penny stock crash, problems with land-banking and alternative investments and rule changes in that regard. 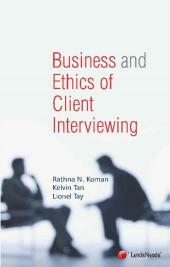 This book also discusses a number of significant Singapore cases which referred to the last edition of the book. These include: - Mahdavan Peter v Public Prosecutor  SGHC 153; Lew Chee Fai Kevin v MAS  SGCA 12 and Tan Chong Koay v MAS  SGCA 36. Recent decisions like TMT Asia Ltd v BHP Billiton Marketing AG (Singapore Branch  SGHC 21 and Vintage Bullion DMCC v Chan Fook Yuen  SGCA 49 are also reviewed. Hans is a Professor of Law at the Faculty of Law, National University of Singapore and is Co-Director of its Centre for Banking and Finance Law. He has written and edited books on securities regulation, company and trust law, and is a contributor to Palmer’s Company Law (Geoffrey Morse ed). He was previously seconded to the Monetary Authority of Singapore and the Ministry of Law. He is presently serving on the Securities Industry Council and SGX’s Listing Advisory Committee, and is a consultant with Linklaters Singapore. He has been a visiting professor at Auckland and Shanghai’s ECUPL and a visiting scholar at Stanford and Melbourne. Wai Yee is an Associate Professor in the School of Law at the Singapore Management University (“SMU”). She graduated with an LLB (First Class Honours) from the National University of Singapore in 1996. She also holds a BCL from the University of Oxford, where she was in residence at St Edmund Hall in 1996/97. Immediately prior to joining academia in 2005, she was a partner at a local law firm, where she practised in the areas of mergers and acquisitions as well as equity capital markets. 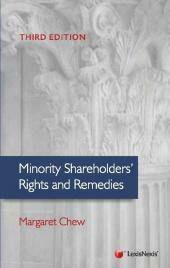 Her main areas of research are in corporate law, mergers and acquisitions and securities regulation. She has published in international peer-reviewed legal journals, including Journal of Corporate Law Studies, Journal of Business Law, Company and Securities Law Journal and Lloyds’ Maritime and Commercial Law Quarterly. Kwok Hon is a Senior Professional Support Lawyer with the corporate team at Linklaters Singapore. He graduated with an LLB (First Class Honours) from the National University of Singapore in 1991 and with an LLM (First Class Honours) from Trinity College, University of Cambridge in 1993. He has worked in the Singapore, London and Hong Kong offices of another magic circle firm advising on a range of public and private M&A transactions. He has contributed to various publications including Halsbury’s Laws of Singapore (Volume 12 on Finance and Banking), Gesellschaftsrecht des Auslands (Corporate Laws of the World) and Schemes, Takeovers and Himalayan Peaks.